Offering you a complete choice of products which include angular contact bearing. To meet the diversified requirements of our prestigious clients, we are engaged in offering Angular Contact Bearing. This bearing is used for controlling relative motion between two moving parts. Offered bearing is manufactured by using progressive technology and premium grade raw material in adherence to set norms. Also, the provided bearing is available in various specifications as per the need of customers. We are as the leading manufacturer and supplier of a broad collection of Angular Contact Bearing. 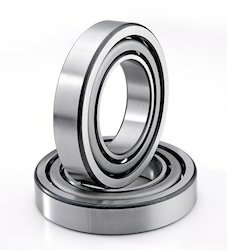 The bearing offered by us is manufactured utilizing high grade material and progressive technology by our experts. Our offered bearing is ideal for providing load support for rotating shaft axis. Along with that, this bearing is checked in terms of quality in order to ensure its flawlessness at customer’s end.